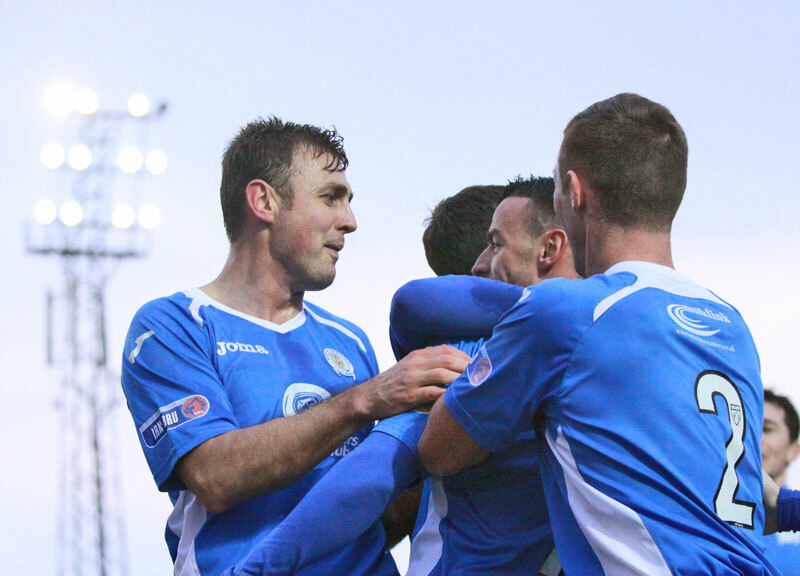 Queens recorded a seventh league win in succession in this afternoon`s game against Forfar at Palmerston as their win, coupled with Alloa`s draw, saw them move even further ahead at the top of the 2nd division. The runaway league leaders scored twice in the first half, and added a third midway through the 2nd period, and that was enough to see them reach seven consecutive league wins for the first time since the 1969-70 season. That season Queens notched up 10 league wins on the `spin`, and the way the current team are playing, you wouldn`t bet against that statistic being equalled, or perhaps even bettered. Defender Mark Durnan returned to the team following his one game ban, and with skipper Chris Higgins missing out through illness, that was the only change Queens boss Allan Johnston made to the team that began against Albion Rovers last time out. The visitors arrived in Dumfries fresh from ending a two game losing run with victory over Ayr last weekend, and included the only international player currently playing in the 2nd division, Faroese defender Odmar Faeroe. It was certainly a day for hats, scarves and gloves amongst the crowd of 1481, and although the pitch looked good from a distance, in the early stages it was clear that some areas were a bit more difficult to pass the ball on with both sides struggling to produce a decent `first touch`. The visitors were first to attack after a mistake by Durnan allowed Swankie to get in behind him, but Kevin Holt was alert to the danger and was across to cover well. Queens first half chance of the game came when a long ball from Durnan found Derek Lyle breaking clear on the right and his cross was met by Nicky Clark`s head but the country`s leading scorer wasn`t able to make a good enough connection and the ball skimmed off his head and went wide. The initial phase of the game saw Forfar having slightly more of the ball, and to their credit they were trying to play football with seasoned campaigner Chris Templeman being involved in almost everything they did going forward, but fortunately from a Queens perspective, Lee Robinson and his defence were not unduly troubled. After 10 minutes Queens won their first corner of the game, and after the ball was initially cleared, the league leaders took the lead. A cross from Dan Carmichael found the head of Clark and his header looked to be going in but Forfar `keeper Hamilton reacted well to parry the ball into the path of Durnan who in turn had his shot blocked by the `keeper, but it proved to be third time lucky for Queens as the ball broke to skipper for the day, Ryan McGuffie, who drilled a low shot in off the far post to open the scoring. Unfortunately the lead did not last for very long as from their next attack the visitors drew level. After a quick break, Forfar won a corner on the right, and the high in-swinging delivery had the Queens defence in trouble and with Robinson struggling under pressure to get to the flight of the ball, Templeman pounced to tap the loose ball home from a yard out. 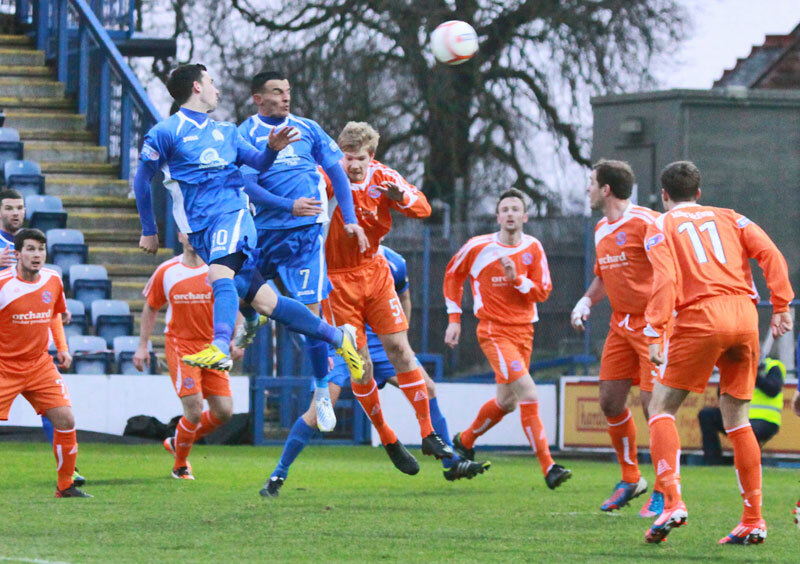 Queens players and fans appealed for a foul on the `keeper, but all to no avail as the goal stood and the game was level. 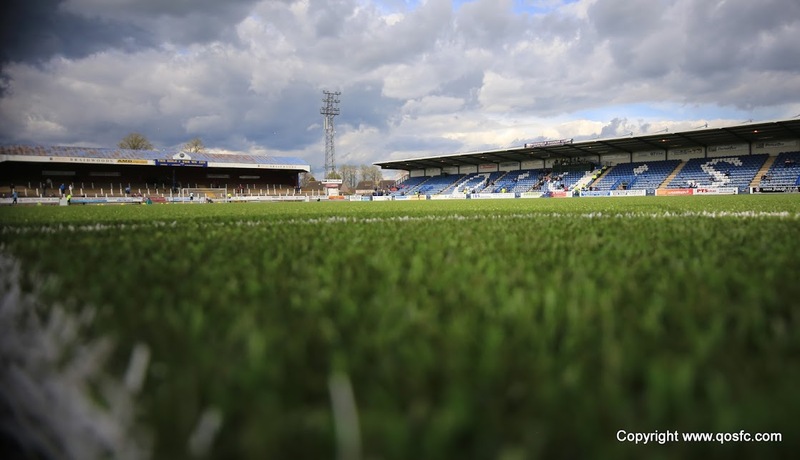 The home fans were soon forgetting about Forfar`s equaliser minutes later, when following the award of a free-kick midway inside the visitors half, Queens regained the lead. Chris Mitchell delivered a perfect cross to the edge of the area where Derek Lyleguided a powerful header into the far corner to score his fourth goal in as many games. For the next few minutes of the game, Queens began to find some rhythm to their game, and neat passing between Derek Young and Stephen McKenna sent Carmichael away, but the exceptional move was halted by an offside decision, which was certainly a close call. On the half hour Forfar went close again from a free-kick when Templeman`s headed effort looped high onto the roof of the net, and shortly afterwards, Robinson did well to save at the back post as Denholm threatened to squeeze a shot past him. Five minutes before the break, Forfar`s Hilson was shown a yellow for reacting to a strong challenge from Holt,and just on the half-time whistle Forfar really should have equalised when Templeman-who won just about everything in the air-flicked the ball on and Bolochoweckyj headed over from just 3-yards out. As it was Queens having not played particularly well went into the break with the advantage, although on chances created, Forfar may well have thought that they deserved to be level. 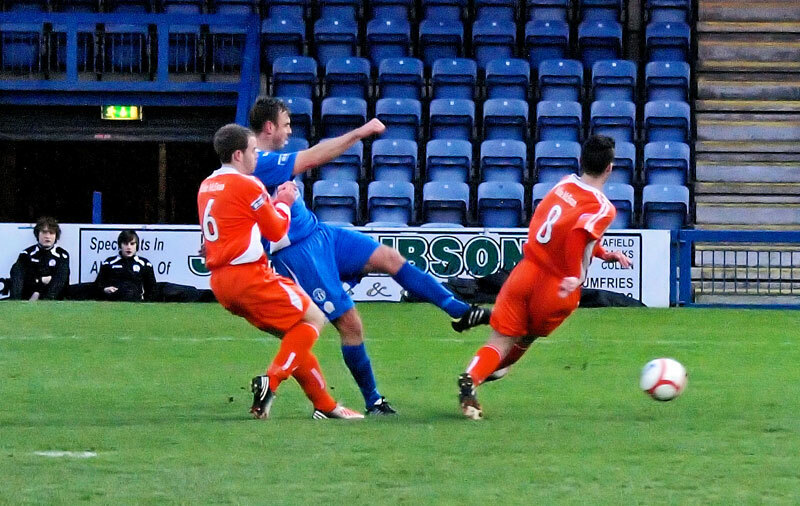 The 2nd half began with no changes having been made, and it was Queens who were first to launch an attack. Winning the ball in midfield, McKenna sent Lyle clear down the left, but after initially collecting the ball well, the striker was only able to prod the ball harmlessly towards goal. Forfar almost got themselves into trouble after `keeper Hamilton came to collect the ball, but it was diverted past him, and fortunately for them, by the post as well,with the resulting corner being cleared to safety as Queens increased the momentum. The second yellow card of the game was shown to Derek Young after he pulled back a Forfar player on halfway, and minutes later Iain Campbell`s name followed after he hauled down Carmichael after the winger tried to break clear. Chris Mitchell`s cross from the resulting free-kick was eventually cleared out to Young on the left and his mis-hit cross almost embarrassed Hamilton as it bounced off the top of the crossbar and out for a goal kick. Queens were bossing the midfield and Young and McKenna in particular were constantly moving the ball from side to side in an effort to find a way through the stubborn Forfar defence, and McKenna was involved in the next bit of significant action as Robertson left him on the ground following a late challenge, for which he was duly cautioned, and in the same incident Bolochoweckyj was also cautioned for speaking out of turn. Although Queens were on top at that stage, they were unable to create any real clear cut chances during the half, and following another corner they almost snatched an equaliser, but this time Queens got the benefit of a free-kick decision and the danger was cleared. With twenty minutes to goal the points were made safe after a composed finish from Queens leading scorer. After latching on to a perfectly weighted pass from Lyle,Nicky Clark took his season`s tally to 26 by guiding the ball past the advancing `keeper from just inside the area. It had been a quiet afternoon for Clark, but Scotland`s leading scorer finished well to continue his fantastic scoring form of late. Queens made their first change after 77 minutes as Nicky Clark was replaced by Gavin Reilly, and moments later Forfar `keeper produced the save of the game when he somehow got fingertips to a Paul Burns header from 8-yards out. Kevin Smith replaced Derek Lyle for the final 8 minutes, and with the game now won, Queens were able to play out the rest of the game at their own pace. They had a chance to add a fourth goal minutes from time following a free-kick just outside the area, but Young`s effort from Mitchell`s lay off crashed against the wall and Forfar cleared. So league win number 19 was recorded, and the lead at the top extended to 19 points,all on a day when Queens were not at their best. Talk of winning the title remains on the backburner, but there can be little doubt the title is Queens to lose. Sponsors man-of-the-match went to Derek Lyle as today`s victory saw Queens make it 7 league wins in succession for the first time in 42 years. 14:39 Howdy folks and welcome to chilly Palmerston as Queens welcome Forfar Athletic to Dumfries. 14:49 And today`s whistler is Brian Colvin assisted by flagwavers Stuart MacMillan and Stuart Brown. 14:52 Forfar are currently in 4th in the league table with 29 pts from 20 games - 24 points behind Queens at the top of the division. 14:54 They`ve had a mixed bag over the last 5 fixtures, winning two and losing three . They defeated Ayr last week 2-1. 14:56 Whilst Queens have won their last 6 games scoring an impressive 21 goals and have beaten Forfar 2-0 and 5-1 already this season. 1 min Queens begin in a 4-4-2 formation with Clark and Lyle up top, Carmichael on the right wing and Burns on the left. 3 min First chance falls to Forfar as Swankie gets to the byline and cuts it back across the goal. Kevin Holt is there to clear. 4 min Chance at the other end for Queens as Durnan`s long ball finds Lyle who crosses from the right but Clark can`t get enough on the header. 9 min After a bright opening from both sides the match has settled down and Forfar in their bright orange strips have had the better of it so far. 11 min Sorry, McGuffie was the scorer there. 16 min Another scramble as Robinson drops a Forfar corner under pressure - just a hint of a foul - and Templeman stabbed it over the line. 19 min Correct scorer this time and what a header! Mitchell sends in a whipped cross from a freekick and Lyle powers a header into the corner. 25 min Fantastic football from Queens as a bit of one touch passing opens up the Forfar defence but Carmichael is offside. Barca-esque! 27 min Forfar have a half-chance as MItchell gives away a freekick out wide. Campbell sends it in and Templeman heads onto the top of the net. 35 min Queens turn to attack and Carmichael sends a shot from the edge of the box a few feet over the bar after Forfar cleared the corner. 39 min Yellow Card : Forfar`s Dale Hilson is booked as he reacts to a Kevin Holt tackle by trying to get the defender in a headlock. 43 min Forfar are nearly in again as McGuffie fails to clear a long ball over the top. Swankie is onto it but the Queens defence recovers to clear. 44 min Today`s attendance is 1481. Half Time An unimpressive and at times uncomfortable display from Queens but they have taken their chances and lead going into half-time. Half Time Forfar might feel they deserve to be level after that showing as they`ve kept the ball well and the strikers have been a threat. 46 min No changes from either side and Queens will be looking to get a hold of the ball and dominate possession. 47 min Early chance for Lyle as McKenna wins the ball and plays in the striker. The ball runs away from him and he can only prod it goalwards. 51 min Queens have begun the half well and Forfar almost self-destruct as the keeper comes for the ball but the ball is past him from his own man..
51 min ... and rolls out for a corner. 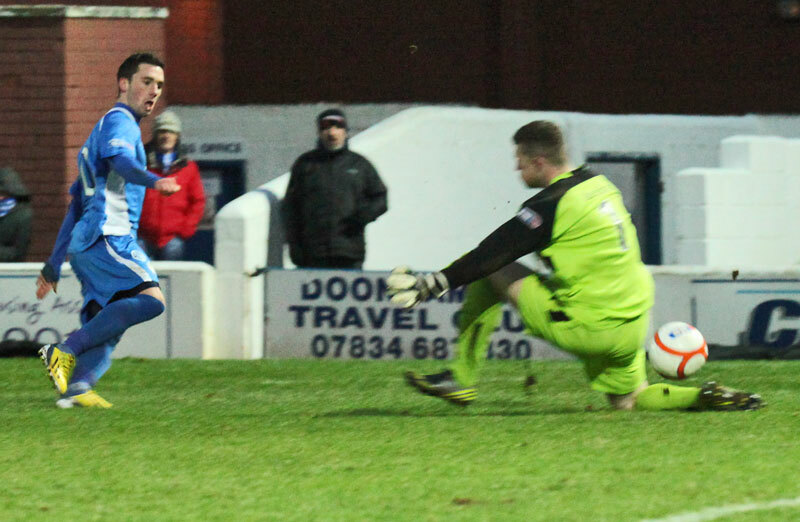 Mitchell takes it but it`s cleared easily and Forfar survive. 54 min Yellow Card : Derek Young is in the ref`s book as he pulls back his man in a nothing area of the pitch. Cheap booking. 57 min Big chance for Forfar as Hilson plays it to Swankie in acres of space and just the keeper to beat. The strike is poor though and is saved. 58 min Yellow Card : Forfar`s Iain Campbell wrestles Dan Carmichael to the ground on the wing and is rightly carded for it. 59 min Off the bar! The freekick is cleared and the ball ends up at Young`s feet on the left wing. He mishits the cross and it loops onto the bar. 64 min Yellow Card : ...is booked as well. 67 min Forfar almost bundle the ball across the line in their first real attack of the half but Robinson is given a freekick for pushing. 69 min Forfar make the first change of the game as Barry Sellars replaces Danny Denholm. 71 min A perfectly timed run from Nicky Clark meets Derek Lyle`s throughball and what result do you get? Goal, of course. 75 min Forfar make their final two subs as Campbell and King come on for Robertson and Templeman. 82 min What a save! 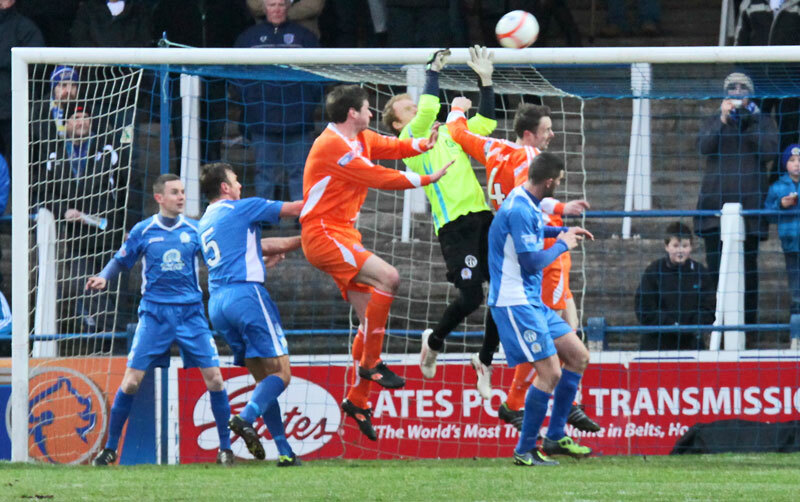 Forfar`s Hamilton keeps out Burns` header with a fingertip save. Not quite sure how he kept it out but cracking save. 90+2 min Chance for Queens as Mitchell lays a freekick to Young but it hits the wall and Forfar clear. 16:53 A deserved victory in the end for Queens as they dominated the second period and make it seven wins in a row.